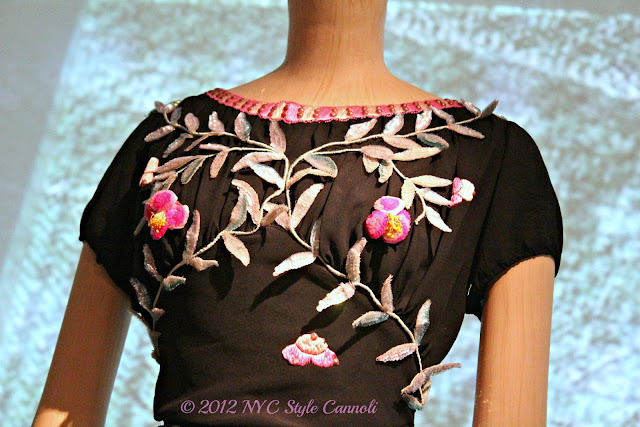 Throwback Thursday " Schiaparelli at The Met"
Today's throwback is to 2012, and the fantastic fashion exhibit at The Met of Schiaparelli and Prada: Impossible Conversations . This was such an amazing fashion exhibit, and this dress was one of my favorites. I believe it was from the 1920's but could easily be worn in 2016. This was the first press event I attended where I saw Bill Cunningham. That actually made me shake, I was so excited! The Met's new fashion exhibit for the winter Masterworks: Unpacking Fashion should be a truly wonderful display. It will run November 8, 2016 to February 5th 2017.